Also known as a "TBI", a traumatic brain injury and spinal cord injury are often caused by accidents. Many times, these injuries result from motor vehicle accidents or work related accidents. They can also be caused by a variety of other accidents, like falls, sports-related accidents, boating mishaps, accidental shootings, ATV, hunting, and bicycle accidents. If you or someone you know has suffered a serious brain injury it's important to have dependable legal counsel to help guide you through the entire litigation process. At the law offices of Harbin & Burnett, we can provide the experience and determination to help fully litigate your case. To find out more, please fill out and send the "Free Case Evaluation" form located to the right - it's strictly confidential and 100% FREE to submit. The brain serves as the control center for a variety of conscious activities, such as talking and walking, as well as unconscious body activities, like breathing and heart rate. A brain injury can disrupt some or all body activities. Depending on the severity of the injury, the effects can be devastating. 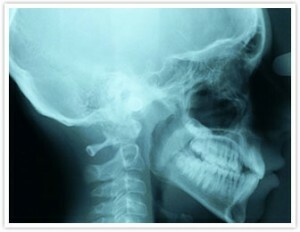 Traumatic brain injury can result from a fracture or a penetration of the skull. Damage to the brain may occur at the time the head impacts a hard surface. It may also occur later because of swelling and bleeding into the brain or bleeding around the brain. Traumatic brain injury can also result from a closed head injury. In such a case, there is no penetration of the skull. Often times, there are no obvious signs of external damage. A closed head injury often occurs when there is a rapid acceleration or deceleration of the head, like in the case of shaken baby syndrome. Closed head injuries usually result in more widespread damage to the brain and, therefore, cause more extensive neurological defects. Post concussion syndrome is a common closed head injury. Seizures may also be caused by traumatic brain injuries. A person is considered "comatose" when he or she remains unconscious for a long period of time. The longer a person is comatose, the more severe the traumatic brain injury. If you hit your head or you know someone you know hit his or her head in an accident and exhibits any of the above symptoms or any other unusual behavior, a traumatic brain injury may have been suffered. Even if you remotely suspect a traumatic brain injury, you should immediately go to an emergency room or see another health-care professional. The spinal cord is the largest nerve in the body. It is approximately 18 inches long and runs from the base of the brain, down the middle of the back, to the waist. The spinal cord is made up of nerve fibers. These nerve fibers are responsible for the bodys communication systems, which include sensory, motor, and autonomic functions. Sensory function means the ability to feel sensations, like pain. Motor function is the ability to voluntarily move your body. Autonomic functions are involuntary body functions, like the ability to sweat and breathe. Around the nerve fibers are protective bone segments called the vertebral column or the spinal column. A spinal cord injury is any injury of the nerve elements within the spinal cord. Most spinal cord injuries result from trauma to the vertebral column. This can affect the spinal cords ability to send and receive messages from the brain to the parts of the body that control sensory, motor, and autonomic functions. The effect on the body depends on the location and severity of the spinal cord injury. Inability to control bowel, bladder or sexual dysfunction following a back injury are signs of a serious spinal cord injury. Usually, the nerves above the injury site continue to function normally, but the nerves below do not. A spinal cord injury can be complete or incomplete. A complete spinal cord injury is where the nerve damage obstructs all signals coming from the brain to the body parts below the injury site. An incomplete spinal cord injury is where the nerve damage only effects some of those signals. The closer the injury is to the brain, the greater the loss of feeling and function. A person with paraplegia has lost feeling and is unable to move the lower parts of the body. A person with tetraplegia (formerly known as quadriplegia) has lost feeling and is unable to move both the upper and lower parts of the body. In some cases, the spinal cord is only bruised or swollen and the nerves may begin to work again. Like traumatic brain injury, the leading causes of spinal cord injuries are automobile crashes, work related accidents, falls, and hunting or sport-related accidents, especially diving. If you, or someone you care about, have been the unfortunate victim of a brain or spinal cord injury, call Harbin & Burnett LLP today at 1(888)821-0247 for a free no obligation consultation. Let our team of experienced South Carolina injury attorneys fight for your rights.